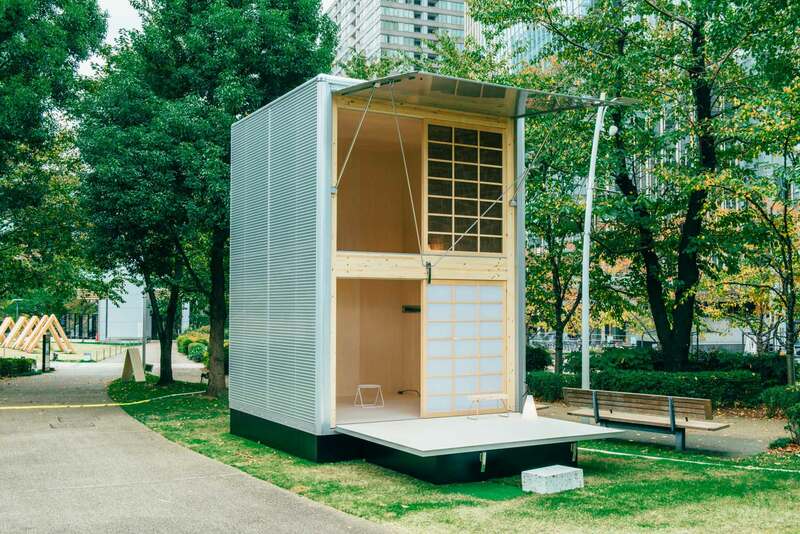 For lovers of the tiny house movement and eco-design, it was pretty big news when environmentally conscious, “no-brand” Japanese household company MUJI announced that they’d be launching three tiny prefab cabins called MUJI Hut. 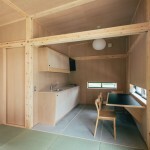 The three models are of varying materials (wood, cork, and aluminum) and size, created by three well-known designers (Naoto Fukasawa, Jasper Morrison, and Konstantin Grcic). 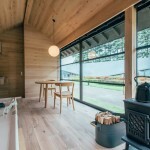 One is envisioned as a true tiny home for living off the grid, another as a vacation retreat, and the third as a place to temporarily escape. 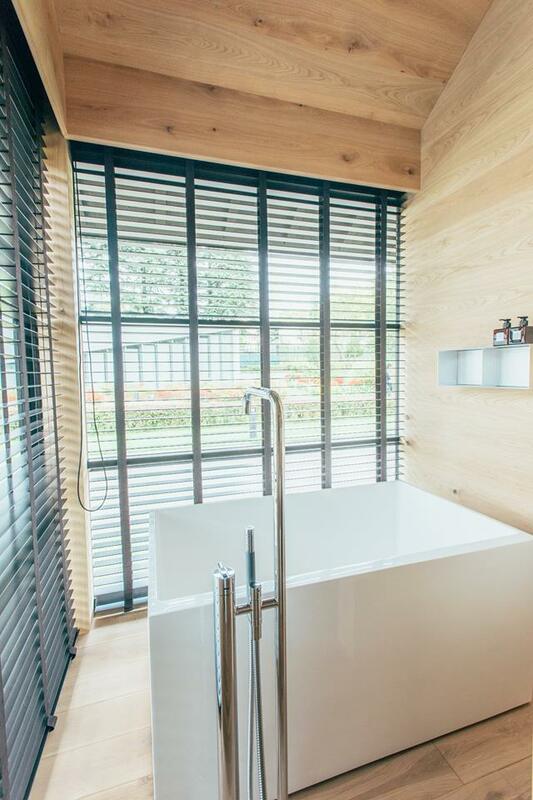 The models first launched last week at Tokyo Design Week, but now Spoon & Tomago has uncovered the pricing, which ranges from $25,000 to $40,000. 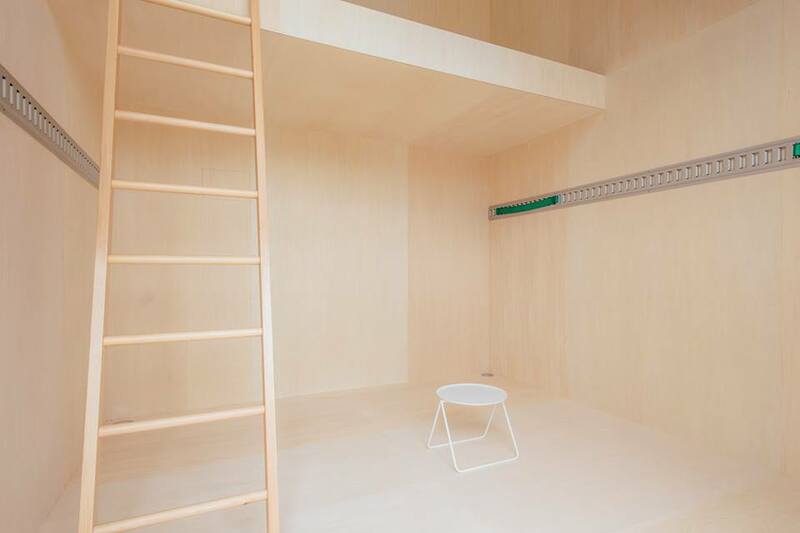 The tiniest of the bunch comes courtesy of German industrial designer Konstantin Grcic. 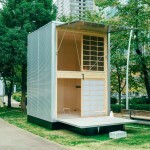 His aluminum and wood hut takes up just 106 square feet and emphasizes vertical living. 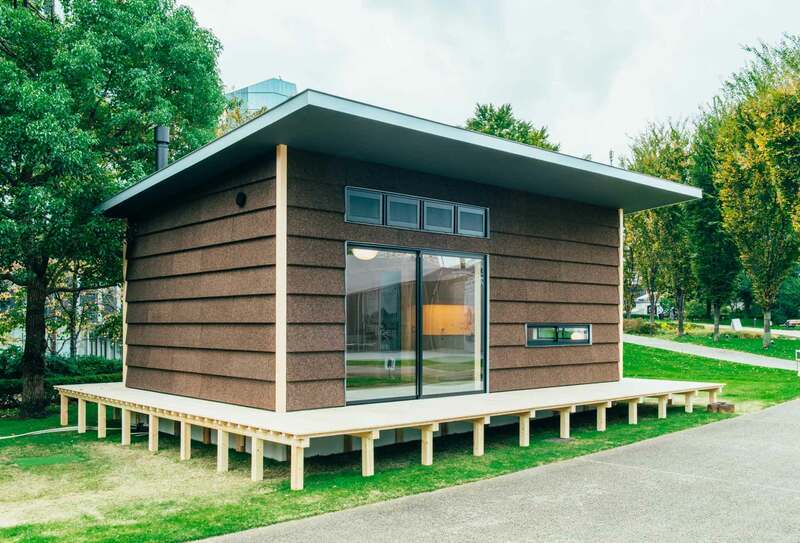 It was constructed using “the same lightweight technology and fabrication system as delivery trucks.” Grcic says of his design, “The hut is just a space — it doesn’t have to be a fully functioning place for living. There doesn’t have to be water or electricity. 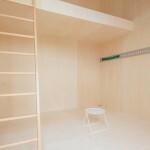 It is just a space for doing something.” But if you need a break from whatever activity the hut has inspired, there’s a lofted sleeping area. 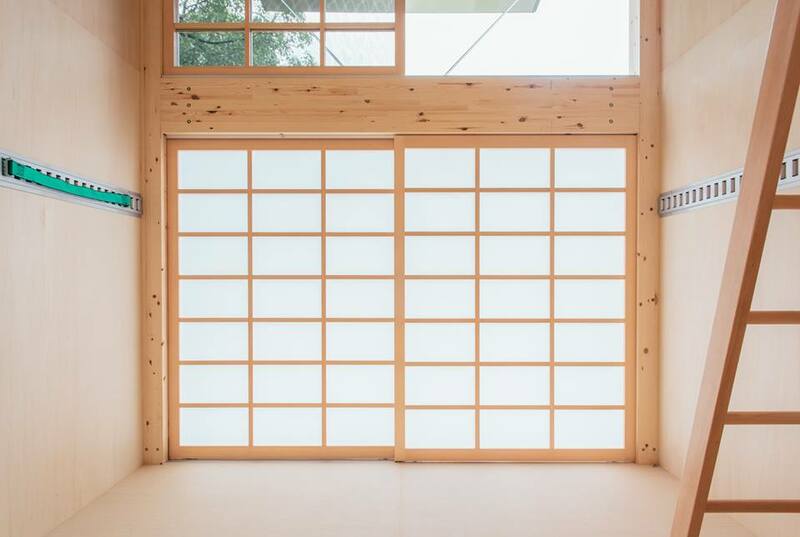 The shoji-style sliding door lets in light while also maintaining privacy, and the aluminum panels outside of these doors can be folded out to create additional outdoor space. 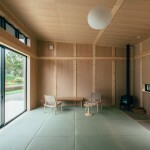 Famed British furniture designer Jasper Morrison helmed the second hut. 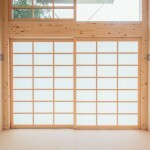 Made of cork, it also has a narrow, Japanese-style wooden porch and contemporary ribbon windows. 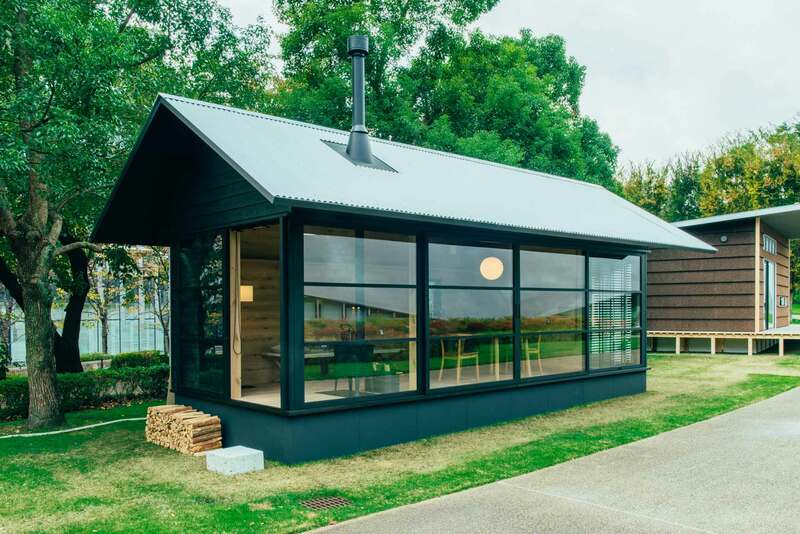 “Whenever I think about going to the country for the weekend, I start imagining a small house with everything needed for a short stay. 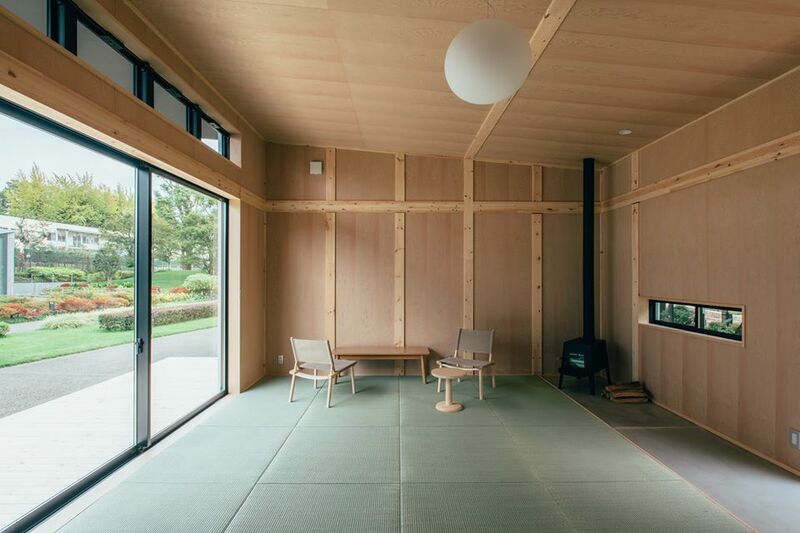 The dream usually collapses when I think of the complexity of building a new house, but with this project I realized there was a chance to design such a house as a product rather than a one-off,” he says. 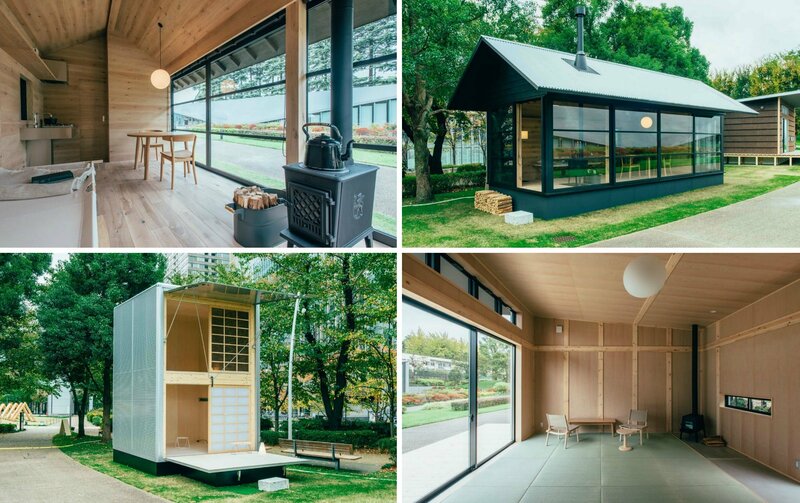 Therefore, this model has a bit more to offer, including a wood-burning stove, tatami-style floors (which serve as a bed and couch of sorts), a kitchenette, eating area, and bathroom. 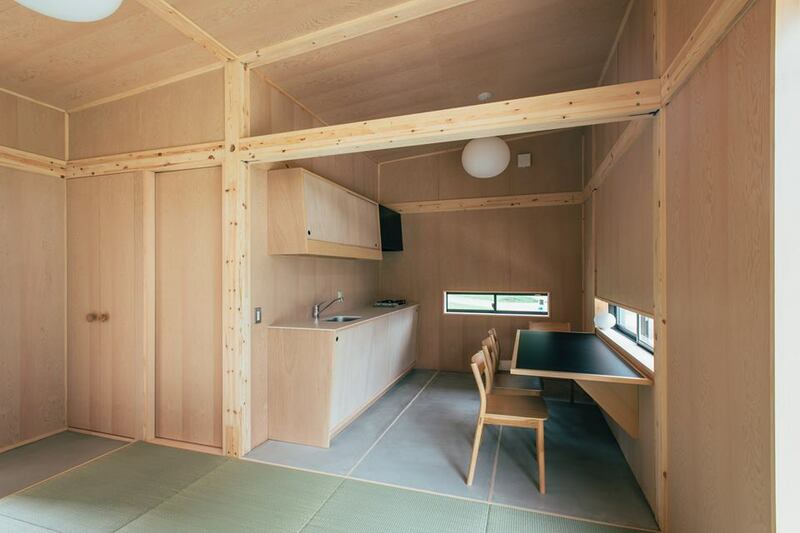 The wooden hut, the most developed of the bunch, was conceived by Naoto Fukasawa, product designer and head design consultant for MUJI. According to him, “When I hear the word hut, I’m attracted. It’s not quite a villa but not as simple as a tent. 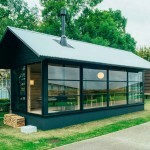 With a small hut you can burrow into the wilderness whenever you want.” With its pitched roof, wooden construction, and full wall of glass, it most closely resembles an actual cabin. 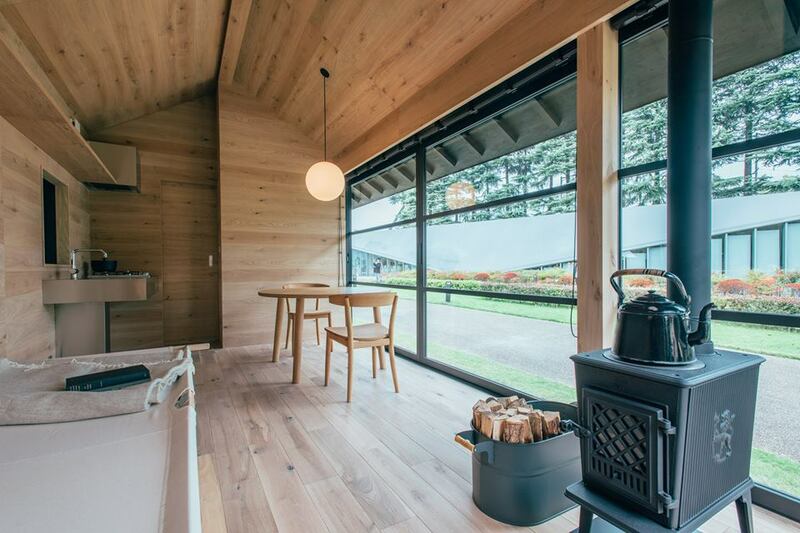 It also has a wood-burning stove, kitchenette, eating area, and bathroom, but additions include a Japanese-style tub and built-in cot. 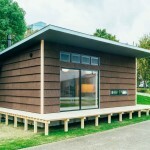 All three of the huts are made to be cheaply and easily installed in a variety of environments.